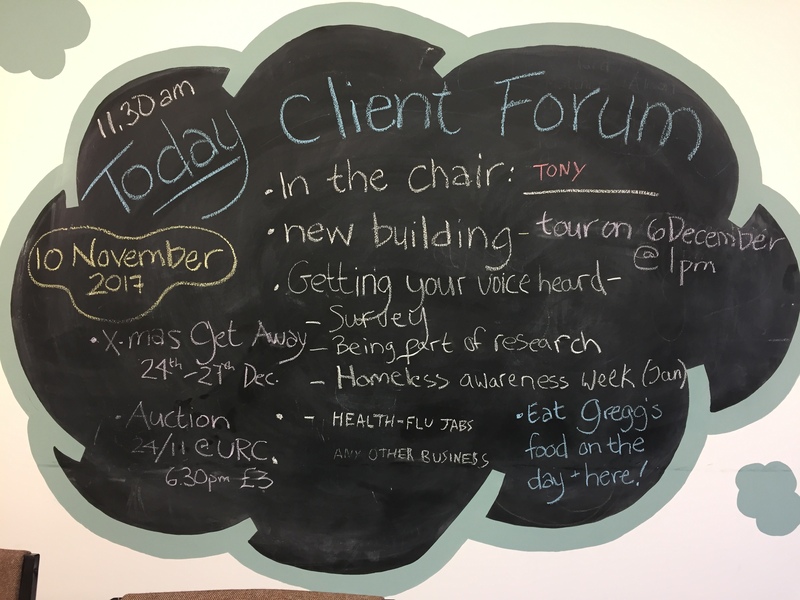 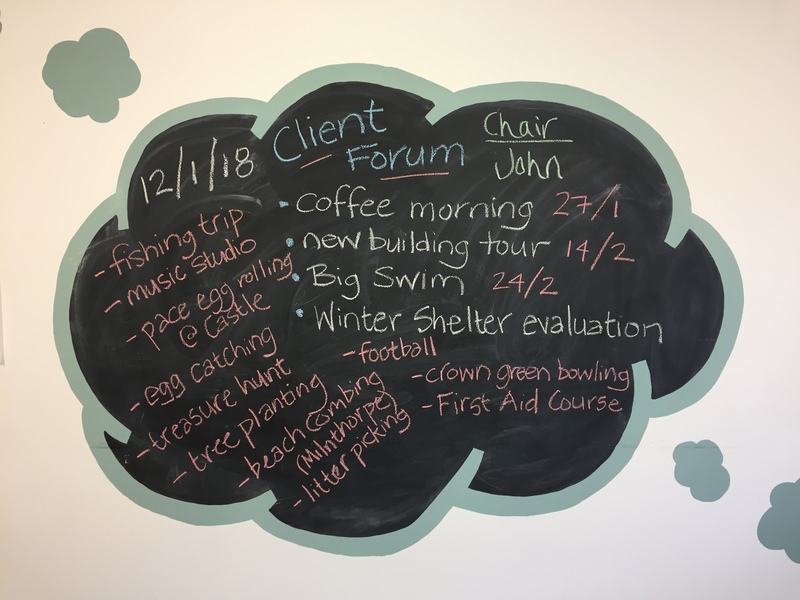 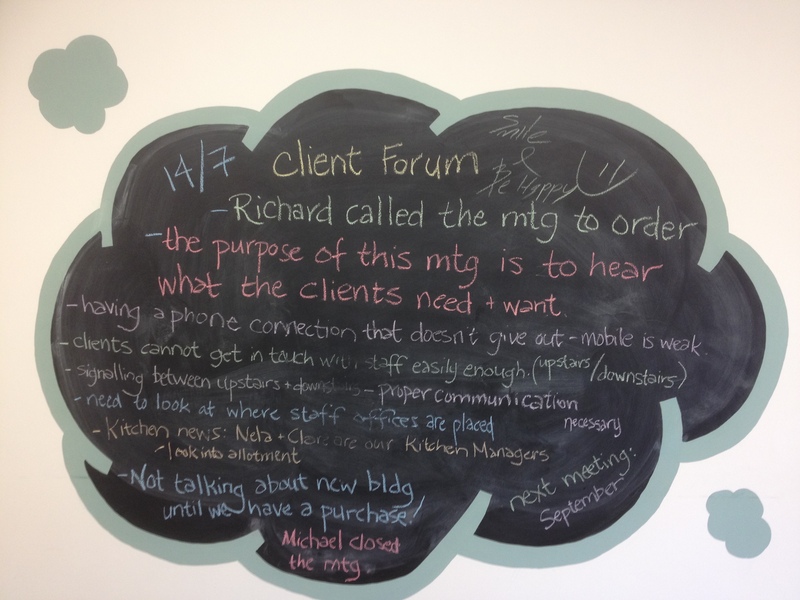 The Client Forum is facilitated by staff and chaired by a client. 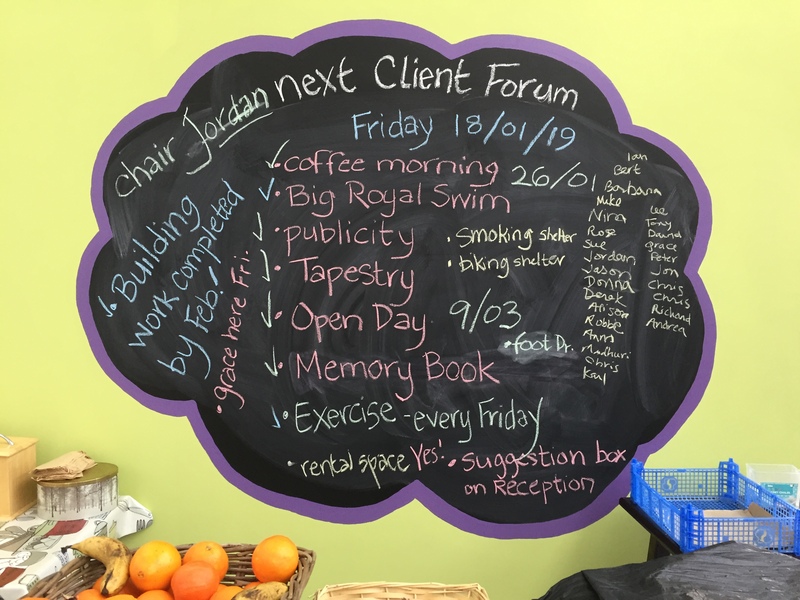 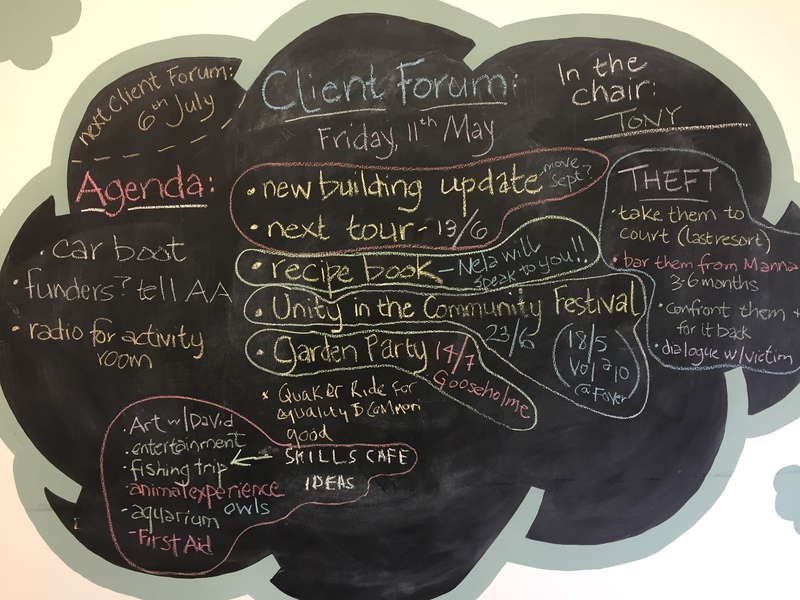 It follows a rough agenda providing feedback and updates but in the main is an open and honest platform for clients to have their voice heard and have a say in how the service is run. 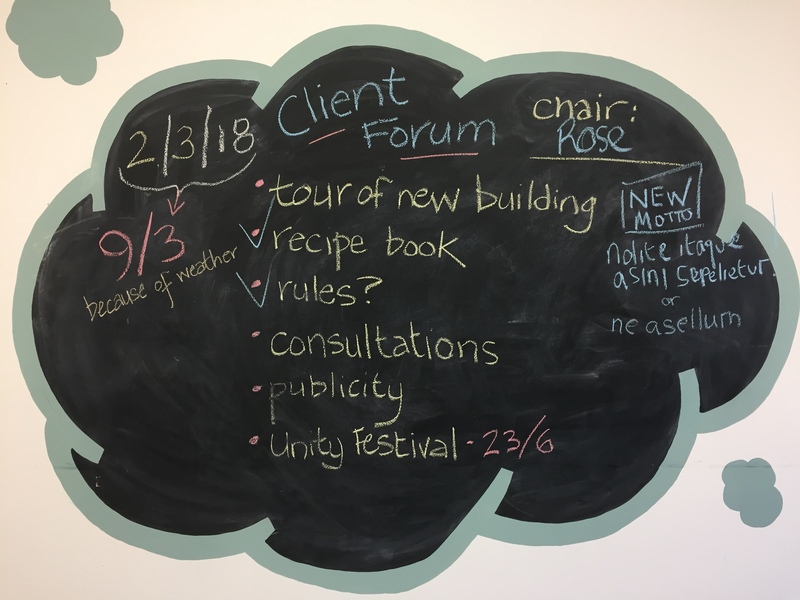 We ask for agenda items leading up to forum and take any points raised on the day. 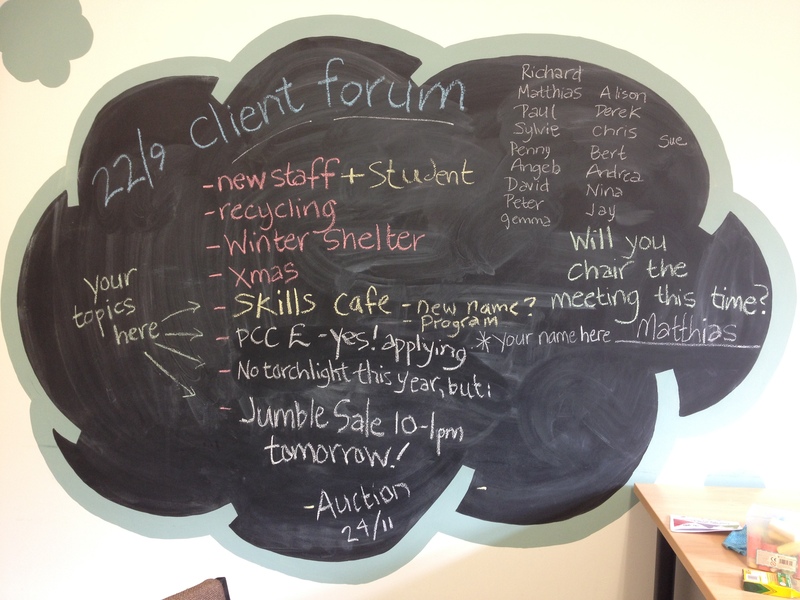 It is an opportunity to shape Skills Cafés, raise any concerns or complements and for clients to feel empowered to voice their opinions.